Fuller Park	The park and recreation center are a quaint neighborhood retreat offering year-round activities. 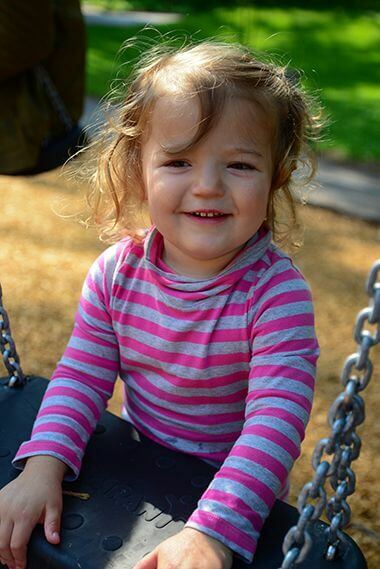 Name: The playground park was named for Margaret Fuller School built in 1896, which occupied the site until 1974. The name Fuller Park was officially adopted November 3, 1976. Fuller was an American writer and women’s rights activist in the mid-1800s. She was the first female book reviewer, foreign correspondent and editor of the New York Tribune. Her book, Woman in the Nineteenth Century, published in 1845, is considered the first major feminist book in the United States. The park was acquired in 1976 from the school board for $112,500 after Margaret Fuller School was closed in 1974. It was the culmination of more than six decades of agitation for a park on—or near—the site. The first petition to acquire a playground in the neighborhood was submitted to the park board in March, 1915. The petitioners volunteered to pay for the acquisition of the block to the east of the school, between Pleasant and Grand, through assessments on their property. More petitions followed in April and May, including one written by former park commissioner and noted architect Harry W. Jones, who lived in the neighborhood, and another by the Washburn Park Improvement Association. The neighborhood was gaining population fast, as indicated by additions to Fuller School, first in 1909, and again in 1915. Curiously, with a rapidly growing neighborhood solidly behind the effort to acquire the park, and even willing to pay for it, the park board voted in June of that year, after consultations with the school board, not to accept the offer and designate the property for acquisition. Even curiouser, the 1915 annual report by park superintendent Theodore Wirth included “Margaret Fuller Field” in a chart of new acquisitions. The report listed the new acquisition that wasn’t at 2.31 acres. Undeterred by an “almost,” residents petitioned for a park again in June 1917, for the south half of the block on which the school was located and half of the block east of the school. This time the board agreed and on September 5, 1917, the board designated the requested land for a park to be paid for by assessments on benefited property. Despite some protests against the acquisition, which caused the board to defer action for a month, the park board directed Wirth to proceed with a survey and plans for the park. But there was a catch: Wirth’s plan required the use of some land adjacent to the school owned by the school board. Because the park board couldn’t legally assess the cost of improvements on land it didn’t own, the plan required the school board to pay $5,200 of the total cost of $32,200 to execute the plan. The park board referred the plan to a joint committee to consider—and the plan was never mentioned again. It would be 55 years before the idea of a playground in the Fuller neighborhood was revived—and then only when the school was demolished. (One reason given for demolishing the school was that it didn’t have adequate playground space!) With the closing of the school in 1974 and the park board aggressively trying to fill holes in its playground map, the park board was first in line to acquire the abandoned school site. 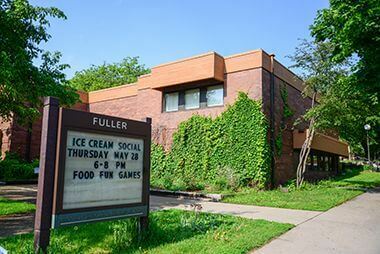 (Keeping up the tradition of neighborhood petitions for a park on the site, the Fuller School PTA requested in November 1972 that the park board acquire the school property. By then the school had already been scheduled to close in 1974.) The site was paid for with funds the park board obtained from the state Department of Transportation in payment for park land taken for freeways. In 1975, with the park board’s acquisition of the school site certain to proceed, the park board began work to convert the site to a park. Walkways were laid, landscaping was begun and a recreation center was designed. Due to the park’s topography and small size, the recreation center is one of the only two-story centers in Minneapolis parks. The park acquisition was completed in 1976 just in time for the dedication of the new recreation center. Nearly sixty years after the first plans were drawn for the playground, it was done. 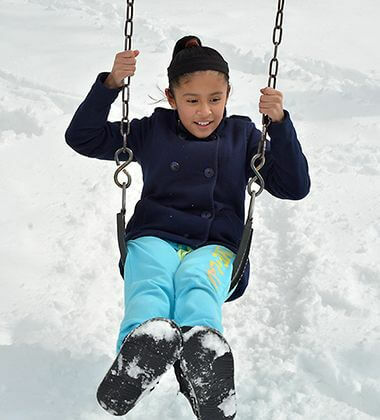 The park included the new recreation center, a wading pool and a children’s playground. 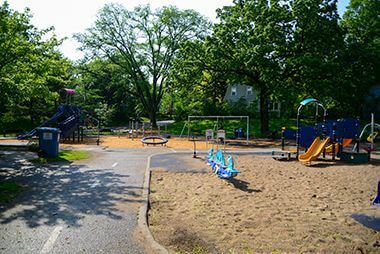 The park was renovated and new playground equipment was installed in 1992. The playground was updated again in 2015. 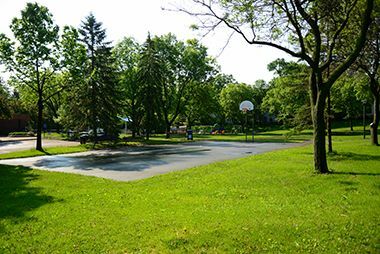 A new basketball court was built in the park in 2005. The wading pool was upgraded to meet new safety regulations in 2008. The interior of the rec center was the focus of attention from park board crews in 2010 when new furniture was constructed and installed and the carpet was replaced. 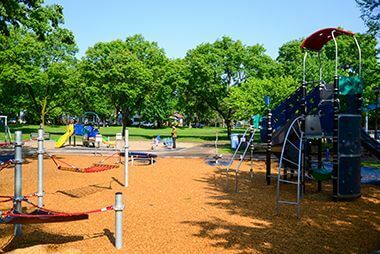 Fuller Park features both a full size playground and a tot lot for the smallest family members. The park and recreation center offer year-round activities. 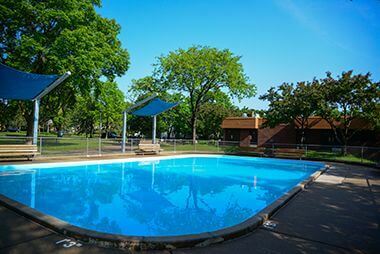 Cool off in the summer at the Fuller Wading Pool. See our other wading pool locations. Practice your shot, or your one-on-one on these half-courts. If you're looking for a full-court game just head to Lynnhurst Park. Fuller Recreation Center offers programming year-round.